I was delighted to contribute this painting - 'Bad Moon Rising' - to the Twitter Art Exhibition, 2014, being held in Orlando, Florida to raise money for dance classes for people with special needs. What fun - art funding dancing! 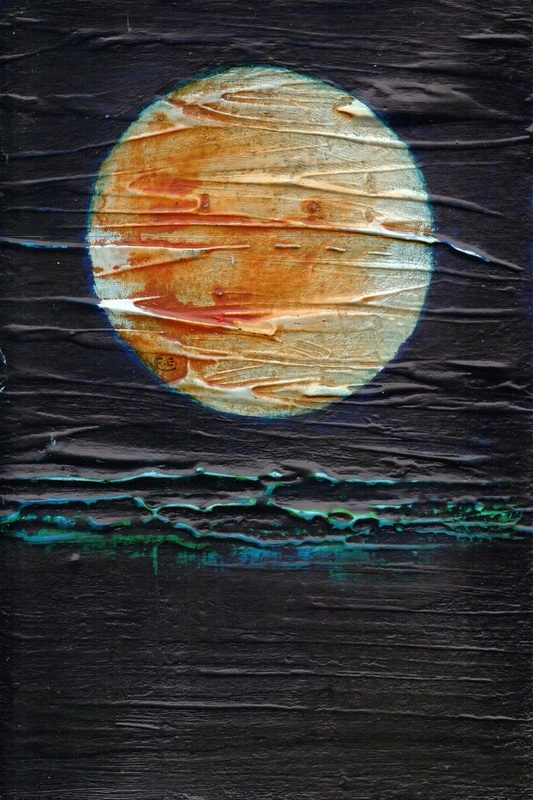 'Bad Moon Rising', acrylic on postcard, 2013, by F. E. Clark. For sale via twitter art exhibition, March, 2014 - all proceeds to charity.